At present the dominant theory governing the arts, humanities and much of the social sciences is the social construction of reality. That is, everything is interpretation, different cultures and communities of interest have irreducibly incommensurable worlds, generalizations are impossible (or worse, are a totalizing grab for power), and nobody has a privileged access to truth. This position contains an unspoken assumption, that all human beings are born as tabulae rasae, blank slates to be inscribed by sociocultural conditioning–unspoken because it already constitutes an embarrassing generalization about human nature. The artistic origin of social construction can be found in modernism, in what at first was a glorious and defiant assertion of artistic freedom. The artist is only free if he (and “he” it usually was, for this was an intensely young-male view of the world) can make up his own world and kick himself loose from nature. Painters broke the shackles of representation, fiction writers broke the shackles of naturalistic narrative, composers broke the shackles of melody and harmony, poets broke the shackles of meter. By fiat they made up their own worlds. Artists were supported in this view by a strain of philosophical thinking somewhat different from positivism: J. L. Austin’s theory of speech acts and performatives, whereby the very statement of something, such as a promise, or the stipulation of a rule in an agreed context, could create a new reality without need for empirical verification. This of course meant that a world was something that could be made up, a point not lost on political interpreters, who, constitutionally suspicious, immediately began to ask: who gets to make up the world? But the political correctness that resulted from asking this question was not the only problem that came out of the definition of art as freedom from nature. Another was the problem of critical judgement. How could one distinguish good from bad art? If nature was abandoned as a constraint, craftsmanship–which is a working with natural constraints–must disappear, and with it the virtuosity that is the excellence of craft. Social construction became the perfect excuse for artistic incompetence; for any flaw could be pointed to in triumph as a subtle tour-de-force of deconstruction, a performative enactment of subversive delegitimation, etc. Finally, the idea of artistic freedom as freedom from natural constraint has begun to come up against a tragically opposed principle: the desperate need, in this ecologically-threatened world, to find ways of life for human beings that are not lethal to the ecosystem around us and to our own animal bodies. The heroic transcendence of nature can result in inhuman Bauhaus architecture, designer drug addiction, AIDS suicide performance art, and nuclear submarines. The political origin of social construction was the wreck of socialist and communist hopes in the ‘eighties. The ideal of a planned society, of a New Socialist Man, of a transformation of human nature, had proved impossible to attain either through force or constitutional means. But intellectuals still needed a reason to explain why popular politicians, not intellectuals, had the power, and why business owners, not intellectuals, had the money; and a way to persuade politicians and business people why they should continue to support the expensive academic institutions in which intellectuals live. Social construction was the answer; if we are what our social environment makes us, then the educational administrators and teachers are the proper creators of the population. The fathers and mothers, who vote and who remind their children by their very existence of their children’s biological origins, become the enemy, since they perpetuate old essentialistic ways of thought. The way was now open for this whole intellectual movement to be taken over by a coherent ideology; and this was provided by what we might call the School of Power. Derrida clears the ground for it; Benjamin, Husserl, Lacan, Lyotard, Feyerabend and others connect it into developments in linguistics, phenomenology, psychology, narratology, and the philosophy of science; and Foucault brings it to perfection. In this view, to put it simply, what we call knowledge is simply what the powerful want us to think; and we overthrow the powerful by refusing to believe in any coherent knowledge. The idea of human nature is the most persistent and oppressive of all knowledges, and should be demolished by means of ethnic and gender politics and the promulgation of speech codes and political correctness. One of the victims of this ideology was, naturally, those sciences that investigate human psychobiology and evolution. In the last thirty years or so there has been a revolution in these sciences and in related fields such as ccognitive science, spurred by new methods and instruments of research. 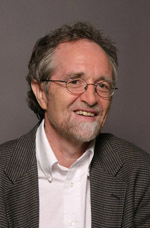 Major talents have devoted themselves to the work; a cursory list of their names would include Lionel Tiger, Robin Fox, and Napoleon Chagnon in anthropology, Robert Trivers and Laurence Hurst in evolutionary genetics, Michael Gazzaniga and Jerre Levy in brain science, Edward O. Wilson in sociobiology, Melvin Konner in medical psychology, Irenaeus Eibl-Eibesfeldt in human ethology, David Buss and Helen Fisher in human sexual behavior, Marvin Minsky and Daniel Dennett in cognitive science, Ellen Dissanayake, Ingo Rentschler, Ernst Poeppel, and Kathryn Coe in the biology of aesthetics, and Alexander Argyros, Nancy Easterlin, Brett Cooke and Joseph Carroll in literary theory. But in the view of social constructionism, there should not even be such sciences. Their very premise, that we can know reasonable true facts about people, is anathema. Worst of all, they seem to show very inconvenient things: that there are cultural universals that hold true for all human societies; that genetic inheritance (for instance, that of identical twins raised separately) is roughly twice as good at predicting behavior than social environment; that we have retained definite predispositions from our early evolution, including sexual differences that go beyond the reproductive system; that the brain is not a black box to be shaped by society but an immensely proactive, self-shaping community of cells with emergent properties of its own; and that hierarchy and distinctions of value are everywhere in the universe, and not just inventions of human ideology. The proponents of social construction accused the sociobiologists, human ethologists, and biosocial anthropologists of racism, sexism, and determinism. But these accusations have, in the event, turned round to bite their masters. Sociobiology and evolutionary anthropology, by and large, find race to be an almost meaningless idea. By any scientific measure, the degree of genetic mixing among human beings is so great, and the divergence of the original lineages so recent, that race has no meaning apart from the general variation among individuals. Why focus on cosmetic differences? Why not choose blood type, or the shape of the kidneys, or weight, or the proportion of quick to slow muscles–all of which are heritable–as the basis for distinctions among human beings? In actual fact, it is the social constructionists who are now, in practice, the racists; for if perceived race generates real ethnicity, and real ethnicity determines one’s power position in society, and if that power position determines behavior, then race determines behavior, and the fact that race is a category of perception, not reality, is irrelevant. If all is, after all, interpretation, then race is as real as anything else. Hence social constructionists find themselves paralysed by such issues as the adoption of black children by white parents–if it is, as some claim, genocide, then race is real and racism is, strictly speaking, correct. As for sexism, social construction now finds itself at the center of a bitter struggle within the feminist community; for an increasing number of feminists have come to believe that women are indeed different from men, and that to regard them as identical with men–as tabulae rasae, products of a social environment only–is to force women into a universalist masculine mold. The accusation of determinism is even more problematic. For after all, the theory of social construction has turned out to be the most systematic and thoroughgoing determinism ever to be applied to the human species. The stipulation that human beings–the power/knowledge elite–create the social conditioning that determines behavior makes the position, if anything, even more alarming, since it affords us a pretty clear picture of the ambitions of the theorist. There is indeed a weak determinism in such fields as sociobiology, that is, a methodological assumption that phenomena generally have causes–but nothing in its theory suggests that we are helpless to redirect our inherited predispositions. But if we are blank slates at birth, and thus “always already” inscribed by our culture, there is no escape. The root problem for social constructionists is the nature of power, which has become the only determinative reality in their mental world. Power, after all, is a linear phenomenon, most perfectly expressed in one-way cause and effect. However, physics teaches us that force of this kind is absolutely and universally subject to the second law of thermodynamics, that is, it tends over time to waste itself and turn into useless heat and thermal disorder. Yet the universe has evolved into a wealth of elaborate, ordered, and beautiful forms–galaxies, crystals, life, sentient beings–and it did so by very different mechanisms than coercive power. These mechanisms, involving mutual feedback, nonlinear communication among and within whole systems, harmonic entrainments, self-referential adjustments, and subtle influences, are now being studied by chaos theorists. Thus the power-based theories of the contemporary academy are profoundly out of date and intellectually bankrupt. The new biocultural sciences are quite at home with the nonlinearity that is increasingly coming to be seen as the norm in the universe. The governing paradigm in this area is that of biocultural coevolution; that is, biological changes in the human lineage made possible cultural and social developments, which exerted a selective pressure on the species, which in turn altered the bodies and nervous systems of its individuals, which then made possible further cultural elaborations of ritual and technology, which demanded further biological adaptations. . . and so on. Chaos theory tells us that such nonlinear dynamical systems can create emergent properties and whole new kinds of lawfulness and top-down holistic causality that cannot be predicted from the initial conditions but which have not left the realm of cause and intelligibility either. They are retrodictable–that is, they make sense once they have happened–but they are not predictable, for the amount of computing power available in the universe itself is insufficient to calculate the outcome any faster than realtime itself. What we have is a system that is self-determining, autonomous, not random, unpredictable, yet intelligible; in other words, free. Individual human beings are also, in the biosocial perspective, capable of this kind of self-transcendence and autonomy. A (relatively) determinist genetic inheritance combines with a (relatively) determinist social environment; but the result when these two grids are laid over each other is the mysterious, volatile, beautiful moiré pattern of the self-determining human person. The strange attractor that arises from and then comes to govern the chaotic interaction of the genes (which were in turn partly created by early human culture) with a culture (partly the result of genes) is what we used to call the soul. Thus the biosocial perspective reduces the social construction of even human reality to even less than the 33% or so demonstrated by twin studies; for both nature and nurture are but the ingredients of an emergent reality that can take over much of their original determining force. The great accusation of social constructionists is that of “essentialism.” It now seems that essences indeed exist; nature generates them in wild profusion, its greatest site of production being human lives; and essences are the more concrete, the more experiential, the more existential, the more free to change, the more essential they are. There is an additional bonus to this view of the human self. Through training, education, the cultivation of good habits and the studied avoidance of bad ones, we can actually alter ourselves to make ourselves more free and more creative. But the biosocial perspective tells us that if we do, it must be along lines of development and within systems of discipline inherited from millennia of shamanic ancestors. My own work has included an extended study of the evolutionary and neurobiological roots of the human artistic genres as they are practiced by all cultures throughout the world; I call this approach natural classicism. In this view the arts are a continuation, not a repudiation, of evolution. Many artists, writers, and critics are now turning toward this new perspective, believing that it promises a new renaissance, a new era of cultural excellence, founded on nature-based ideals of the brotherhood and sisterhood of humankind. In this new era there will be a recovery of virtuosity, not as a hollow avoidance of the agonies of artistic truth, but as the way to graft art back to the creative evolution of the universe.